Please give a warm welcome to Paul, everyone! All Roads Lead…why does Rome hold power over us in fact and fiction? Prince Random was talking to Corwin about Amber, but the phrase that Random is unconsciously evoking, and the city is Rome. All roads lead to Rome, as the saying goes, because the Romans built the roads, and built them out from the city. All roads lead to Rome, because the roads lead from Rome. But what is it about Rome? Why does it have a hold over us, both in fact and in fiction? What makes Rome such a powerful attractor ever since? There have been plenty of civilizations throughout history as forebears, direct and indirect, to ours. But none of them hold quite the fascination and power that Rome does? Why? The fascination with Rome goes with the Western tradition of wanting to emulate Rome, to BE Rome. Every since the Roman Empire fell, the mantle and allure of that lost Empire was sought by people, by nations, by societies. Three hundred and twenty four years after the last Western Roman Emperor abdicated his throne, Charles, King of the Lombards and the Franks, was crowned by Pope Leo III as Emperor of the Romans. Sure, there was already an Eastern Roman Empire at the time (being ruled at the time by Irene of Athens as Empress-regnant), but there wasn’t a Western Emperor. 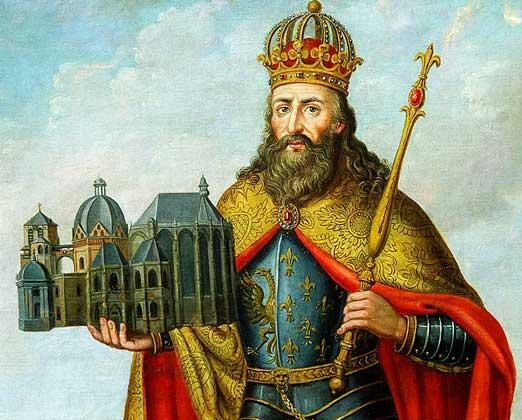 The successors and inheritors of Charles, soon to be called Charles the Great, Charlemagne, became the Holy Roman Emperors. Terms for rulers such as the German word Kaiser, and the word Czar, are transliterated words from the name Caesar. The American founding fathers looked to the Roman Republic and its ideals for models of governance and dividing power. Napoleon, already well in control of France and lands beyond, still made a point of having himself crowned as an Emperor in 1800. The British, and later the Americans, would see their colonial efforts and Empires and the pushback against them, in terms of the conquests of the Romans and reactions to it. Rome is a benchmark we come back to time and again. But why the interest in the history of Rome? And why do writers mine the history for ideas in their novels? Greece gets a lot of play with its plucky band of city states fighting the Persians, or Alexander fighting his way across the known world to India, but by comparison to the story of Rome, they are one-note wonders. Roman history has it all and more. Rome is a gigantic tapestry of themes and grand conflicts. From the early city of Rome throwing off their Kings, to the Roman Republic fighting death matches against the likes of Pyrrhus and Hannibal, to the emergence, expansion, and fall of Empire, the stories of Rome rise and fall are timeless and timely. L Sprague de Camp threw his Martin Padway into a ruined 6th century Rome to make his way in the early dark ages and trying to stop it even as Byzantines, Goths and more threaten to extinguish the dying embers of Rome. 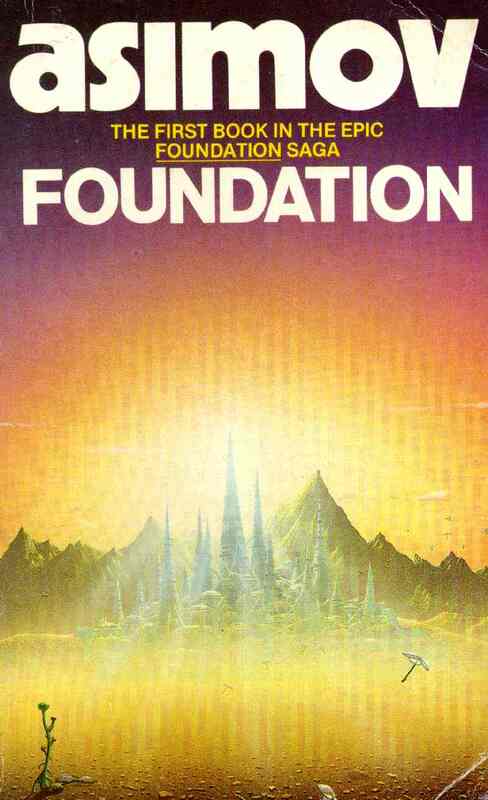 Isaac Asimov famously used Gibbon’s Decline and Fall of the Roman Empire as the model for the history of his Foundation. Poul Anderson’s Technic future history borrowed events from the turbulent 3rd century for its Empire phase, mirrored the events that nearly caused Rome to fall 200 years before it did. Authors ranging from Guy Gavriel Kay to Tansy Rayner Roberts have used events from Roman history, too. With a millennium of history from the end of the Monarchy, through the Republic, Civil War, Empire and its fall, there is a wealth of models to explore and borrow from. And the location shots. At its height, the Roman Empire stretched from Scotland to Egypt, Spain to Syria. Rome the Eternal City was the hub of the Empire, but the Empire was also Hadrian’s Wall, and the mysteries of Aquae Sulis, now Bath, England. And the plains of Spain, the valleys of France, the treacherous Alps, the sweeping deserts of North Africa. The slumbering fallen glory of Athens, the tombs and temples of Egypt, and the contentious crowded cities of the Levant, hub of dissent, discontent, and new religions and beliefs. The Roman Empire was, arguably, the most cosmopolitan polity on Earth before the modern era. On a trip to Rome, I found Obelisks from Egypt, statues of goddesses imported from Syria, and epigraphs for immigrants to Rome from Athens, Londinium, Carthage, and more. Themes and grand narratives and location shots are all well and good, but a lot of the meat of what appeals to us about Rome is the characters. The stage they are on is grand, but so are the personalities, the conflicts, the drama. Publius Horatius Cocles single handedly stopping an attacking army by facing them off on a narrow bridge is a scene used and borrowed again and again in cinema and fiction. The terrible and seemingly unstopping Hannibal of Carthage, threatening to flatten the young Republic is the very model of the seemingly unstoppable enemy.The Gracchi brothers, the Kennedys of their day, struggling with the terrible class conflicts tearing Rome apart. The unlikely rise of Julius Ceasar, fighting to become dictator of a Rome whose republic days were at an end. Cleopatra and Mark Antony, the political match and love affair between an Egyptian and a Roman that brought the entire Mediterranean to war. The Julio-Claudian family, the first dynasty of Emperors: Augustus, the first Emperor, his potent wife Livia, and all of their relatives and descendants (including Nero and Caligula). A court of individuals rising and falling, scheming and working for power, or for some to avoid getting it and just avoid getting their heads chopped off. Pompeia Plotina, wife of Emperor Trajan, who engineered the succession of the Empire to Hadrian after her husband’s death on the strength of her personality and will. Queen Zenobia, widow of a Roman Governor turned King, who made a strong bid to try and break away the Middle East from Rome to make her own Empire in the wake of her husband’s death. And so many more. Their stories are tragic, heroic, funny, and true. What writer would not want to borrow from their lives, their tragedies and triumphs? And genre writers are doing just that, borrowing from Roman history and the people that made it. Rome and science fiction isn’t limited to Asimov and early classics of the field. Writers today are mining the Roman Empire, using it, remixing it, and keeping Rome on the forefront of science fiction and fantasy today. 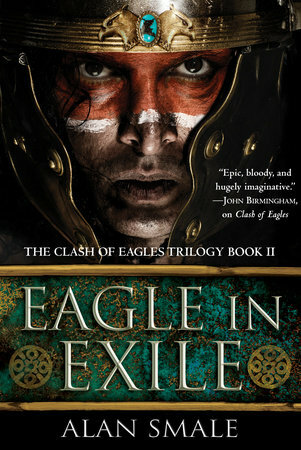 Alan Smale’s alternate history Clash of Eagles imagines a Roman Empire that did not fall, and is now having major problems as it explores and tries to conquerNorth America. 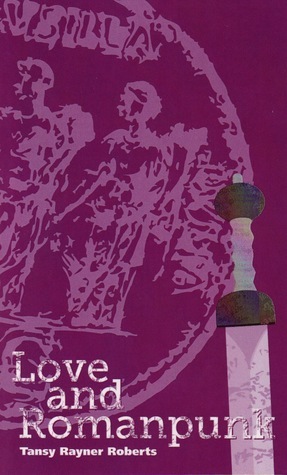 Michael Livingston’s The Shards of Heaven looks at the events surrounding the conflict between Mark Antony, Cleopatra and Octavian through a fantastic lens. John Hornor Jacobs The Incorruptibles uses a fantasy world version of the Romans, to tell a story of clashing Empires, colonization, and the drama and intrigue within a senatorial family. 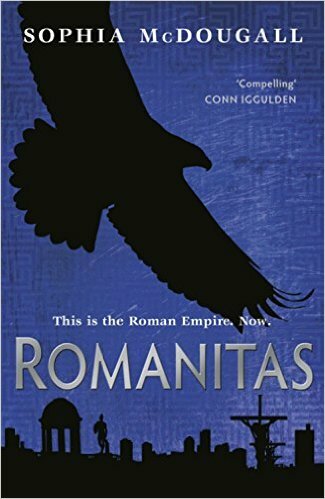 Sophia McDougall’s Romanitas universe has a Rome surviving to modern times. The Tour of the Merrimack series by R. M. Meluch has a future where she posits the Romans reconstituting themselves as a stellar Empire very much not under Earth’s thumb, thank you very much. The Chinese fantasy action movie DRAGON BLADE has Roman Legions marching onto the Silk Road to face off against the Han Chinese and a coalition of other locals. Be it in the past or in the far future, Romans and their world continue to be models and wellsprings of inspiration for writers today.